Sentinel Management Company has owned and managed residential apartment communities since its formation. With properties throughout the Twin Cities metropolitan area, each site is in a prime location for your convenience. 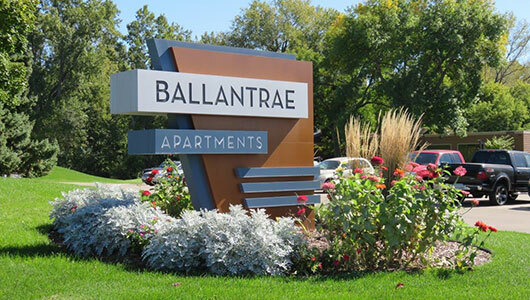 Ballantrae Apartments is ideal for those looking for convenience while wanting a more “home-like” feel. Enjoy our wooded views while living only minutes from the Mall of America, Minneapolis-St. Paul Airport, Highway 77 (Cedar Avenue) and I-35E. 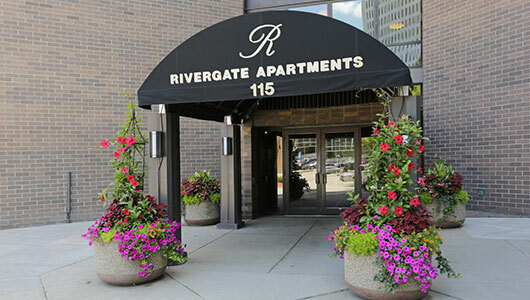 Rivergate Apartments is conveniently located in Downtown Minneapolis. Newly renovated we feature a fitness center, laundry, outdoor patios and community room with a full kitchen, TV and billiard table. This place is nice and staff are helpful. Nice pool and fitness room as well. We are on our 6th lease. We live it here! It's quiet, management and maintenance are very nice and respectful and respond quickly. What is the Sum of 12+3?